Making a film takes a village — the long scroll of credits at the end of any movie proves it. But finding that village can be hard. If you’re new to a city or looking to break into the film industry, finding a network can be daunting. Often, people look to grad school to find these communities and networks, but that’s a very expensive route. Film collectives and cooperatives can often provide the same sense of community but without the student loans. What is a film collective or cooperative exactly? The primary goal is to create a network for filmmakers who don’t want to be in the trenches alone. Both groups come in all shapes and sizes. Some are tailored to a demographic, such as female directors; others are focused on an aspect of filmmaking, like distribution. Still others are simply places to share your work and have a community to lean on. What’s the difference between a collective and a cooperative? Collectives and cooperatives are similar in their principles, but co-ops often involve a revenue component and function like group-run businesses, such as New Day, a distribution company, or Meerkat Media, which has both a cooperatively run production company and a collectively run artistic community. Collectives are less focused on revenue and usually more attentive to their network of support and feedback or making a film together. Sometimes, as you find with Meerkat, the cooperative branch can support the collective. Filmmaking is an isolating sport despite its reliance on an army of people. 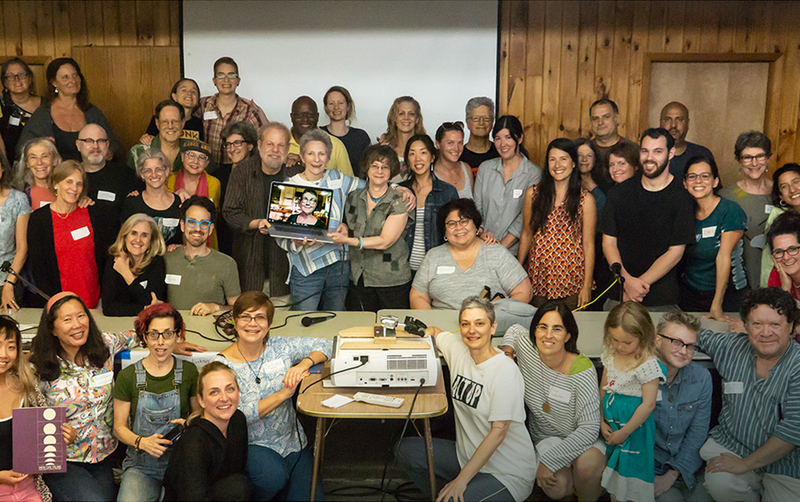 Writing, creating, and seeing a film to fruition can be lonely and arduous, but film collectives and cooperatives create a space for people to feel less alone in their process. For example, I’m a filmmaker in the throes of developing a number of projects. What that actually means is that I sit in my living room working alone every day; the idea of a community is appealing. It’s like going to a coffee shop: Suddenly, you’re not the only one working alone on your computer while chugging overpriced matchas. What do I have to do if I join? These groups meet regularly — anywhere from once a week to once a year depending on the specific structure of the group. As most things in this world, it’s a get-what-you-give situation, and the more you invest in these groups, the more you get out of them. Although the time commitment was a challenge for members I interviewed, they also acknowledged that when they put in the time, they reap benefits. Film collectives usually have an online space, too, like a Facebook page, website, or listserv, where members can be in touch between meetings and gather resources from one another. For a collective such as New Day, which focuses on distribution, its members are asked to work three to five hours a week on one of hundreds of jobs that keep the organization running. Meerkat Media operates as a full-time job for the eight members employed at the production company. Everyone in the cooperative is an owner-operator, and they’re paid through the revenue it brings with its commissioned work. Meerkat is unique in that it also has a “residency” that functions more like a typical collective focused on artistic development. It depends on the organization. Some are free, but some have yearly dues to pay for space and incidentals, but they’re usually in the $100 to $200 range, which members find appropriate for all they get out of them. Some collectives, like Filmshop, have perks that come with membership, such as discounts at equipment rental houses and other entities, masterclasses, and a network of more than 200 filmmakers. A cooperative like New Day, which focuses on distribution, has a one-time fee of $200 levied upon joining. You also have the option to “buy out” your work hours with a $600 fee, so even if you don’t have the time, you can still access the perks. Depending on what your collective or cooperative focuses on, there are different structures to the meeting. 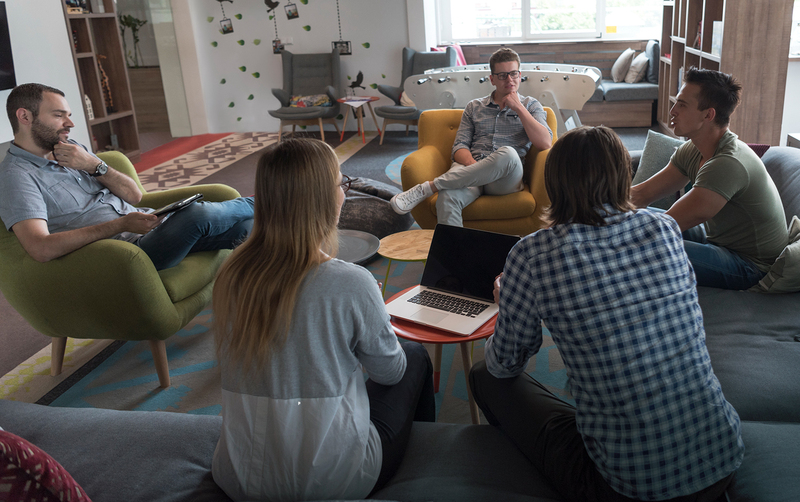 Some have a topic of discussion, while others assign members to bring in work and spend the meeting workshopping three to four projects. Some groups collaborate on work together, while others just support members’ projects. The common thread through most collectives is that they’re a space for people to both give and get what they need and can’t do on their own. Albert Beniada, executive director at Filmshop, says if he has a question, he knows that there’s always someone in the collective who’ll have the answer. Here’s what being in a film collective is really like. Emily Harrold, a documentary filmmaker, joined Filmshop after college because she was missing the community and feedback from a class structure. Filmshop is a larger collective with five chapters: three in Brooklyn, one in Manhattan, and one in New Orleans. Emily, who’s in the Manhattan chapter, attends weekly meetings that run for about three hours. Through the group, she’s met one of her closest collaborators; she says that’s not uncommon. She finds the dues entirely appropriate for all she gets out of the group from its discounts to the network it offers.
" . . . you’re able to grow over time and draw on the collective skills of the group at different points in your career." Albert Beniada has been a part of Filmshop since it began ten years ago and has been involved in numerous roles since then. “The sense that you’re able to grow over time and draw on the collective skills of the group at different points in your career” is invaluable, he says. That’s an oft-heard line from members of film collectives — it’s just a way to feel less alone, and it's a community to lean on when the going gets tough or when things take off. What if you can’t find a collective that suits your needs? While some may join film collectives, others opt to start their own when they can’t find the perfect fit. As with any group, the dynamic usually affects the organization’s efficacy. If the goal is to find a like-minded community, you have to make sure collectives that are already in place have a group dynamic and goal that suits you. But others, unable to find just what they’re looking for, decide to start their own. Because these groups depend on community, there isn’t much overhead if everyone chips in. Meerkat Media began fourteen years ago as a group of friends who wanted to make work together. Not everyone was a filmmaker, but their paths converged, and now Meerket is a full-service, cooperatively run production company. One person, who asked to remain anonymous, joined a film collective that she ended up leaving because she thought its leader was more focused on her own goals than what was best for the group. That said, she got a lot out of the collective before she left and found collaborators she’s still working with and a writer’s group she’s still a part of. But each collective has a unique make-up. Find the one that feels right for you. It may be awkward at first, but if you’ve committed to the movie business, then you’ve committed to networking. Film is a word-of-mouth industry, and the more people who know your strengths, the more work you’ll find. To film collective or not? If that’s the question, then the answer is try it out. There’s really no downside other than a few hours that might otherwise be spent watching Netflix.